Planning an Online Advertising Campaign: if the Theory is so Simple, Why No One Executes Properly? This week I’ve been in London to present to a group of Product Marketing Managers how to use online advertising to promote their products, and in particular, what are the metrics that they should be looking at to take data-driven decisions and shape the success of their campaigns. 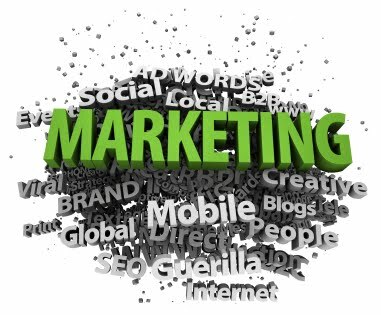 The tricky part in all this is that most of the Product Marketing Managers thought that they had it all figured it out, but then when we then deep dived in the way the run their advertising campaigns, they couldn’t be further from the most basic concepts and best practices. (I had more than person saying that they some parts of the presentation were “too basic” for them). One thing that most people forget about when launching an online advertising campaign is the planning and setup phase, which I believe is as critical as the managing and data collection steps. Everything starts with your broad marketing objective, which includes a target market and users, which don’t necessarily need to be exclusive (for example if I use demographic segmentation I can place my product for targeting both students and young professional – even if the strategy may be different for the two clusters). Then you move to your conversion target, which is the final value added activity that you want the users to perform, which could be, for example, the purchase of a product on a retail website. 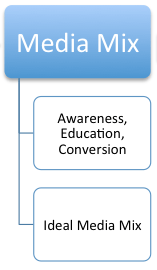 The important part is to define a conversion that has a revenue value associated with it. In this way, the ROI of your advertising initiative will be calculated on the economic value of the conversion, rather than an estimate. Once clarified what our final conversion action is, we need to map the full conversion pattern that the user needs to follow from the first time they see our ads, to the moment when they perform the final conversion action. ● Understand (after analysis) what are the activities you can do to re-engage the user and reduce the drop-off rate (direct email marketing, re-targeting display campaign, promotional offers and discounts). Obviously, we all need to realize that we don’t live in the prefect world, and due to technical limitations of the tracking technologies, or the nature of the conversion itself, we cannot always track the real conversion action. If this is the case, the definition of micro-conversions and conversion pattern becomes particularly critical. 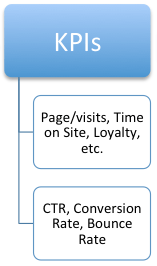 In particular, we need to focus on the last micro-conversion that we can monitor and then find the relationship and the drop-off rate between the total number of actual conversions and the number of conversions tracked (try to be as accurate as possible in this calculation and have high statistical relevance). The next step will then be to understand what are the influencing factors, and what are the initiatives we can run to minimize their effect (be careful here because an erroneous assumption in this step can severely compromise the success of your campaign and the ROI of your initiatives). ● The degree of awareness for the product or service. Up to this point we have translated our broad marketing objective in the desired conversion action (economically value added activity that will allow us to reach the broad market objective), and then outlined the micro-conversion in the conversion pattern with the final conversion. After having designed the media plan that would channel our target users towards your site and the final conversion, we can then identify our KPIs (Key Performance Indicators),that are those metrics that will indicate us, while our advertising campaign is running, if we are doing a good job in reaching for our final marketing goal. We need to be very careful here to identify the right metrics that truly represent the performance of our campaign towards our conversion goal (like % of returning visitors) rather than some overestimated but meaningless metric like number of clicks, impression share or CTR. Obviously, KPIs strongly relate to the objective of the campaign and the conversion value. Adding the budget component, the media channels availability (that ranges from ability to use advertising platforms, to the creative availability of media ad-formats, and many other internal and external factors) we can then set our target conversions number and cost per conversion (a.k.a. Cost Per Acquisition or CPA). 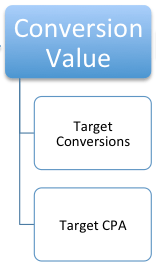 To determine our maximum CPA value, we need to find the actual value per conversion. This last step can be easier or harder depending on the product and the variability of the revenue generated from its sale. For example if we are talking about e-commerce, determine the value of the product may be relatively straightforward and easy, if we speak of customer acquisition, calculating the ARPU (Average Revenue Per User) CLV (Customer Life Value) might be more complicated (once again the estimation model we use here is going to be of critical importance). Since we want to have all our advertising initiatives to be ROI positive, our max CPA value is going to be set by the value per conversion we identify. We need to be careful because in some cases, and for some media buys, there is a minimum threshold that we need to pass in terms of minimum investment to have a positive ROI (it is often hard to find a linear relationship between ROI and media buys). Those that are familiar with the concept of ‘marginal utility of investment’ will soon realize that our ideal investment, is when the marginal utility becomes zero. Obviously, this value will hardly be stable, both because the maximum efficiency of the online advertising campaign is not static but dynamic (because maintained only trough continuous optimization efforts) and technological innovation in campaign management tools, will hopefully increase our return on investments progressively. The graphic below should be able to summarize this journey that brings every online advertising expert from the broad marketing objective through ideal Media Mix to achieve a positive ROI. I’m sure nothing presented here is revolutionary in conception and has probably been heard before, but I wanted to organize all these best practices around campaign planning in a linear way easily digestible to anyone that deals -directly and indirectly- with online advertising. I believe that the true challenge for anyone reading won’t be understanding (and possibly agreeing) with the things I’ve written here, but making sure that these concepts are applied rationally to your online advertising campaigns! Next Next post: What would you like to see here?